We’re excited to share that Invoice2go has been named on the CB Insights Fintech 250 List of Fastest-Growing Fintech Startups, a recognition of the most promising private companies working on groundbreaking financial technology around the world. At Invoice2go, we are building software for the world’s small, mobile businesses – creating tools that make it possible for anyone to operate as efficiently, and to offer the same level of service, as their largest competitors. It’s the evolution of the fintech industry as a whole that makes this possible, and we are honored to be recognized alongside so many innovative companies driving the industry forward. The list recognizes some of the most notable startups in Fintech – from Robinhood and Credit Karma, to our very own partners, Stripe and Kabbage. It’s an exciting time not only for the fintech industry, but also for the billions of people around the world now able to access tools and resources they never could before. For the small business owners we work with everyday, it’s because of groundbreaking technology in areas like financial management, digital payments, customer financing, and mobile invoicing (to name a few), that anyone who wants to start and grow a business, can do so with the right tools behind them. 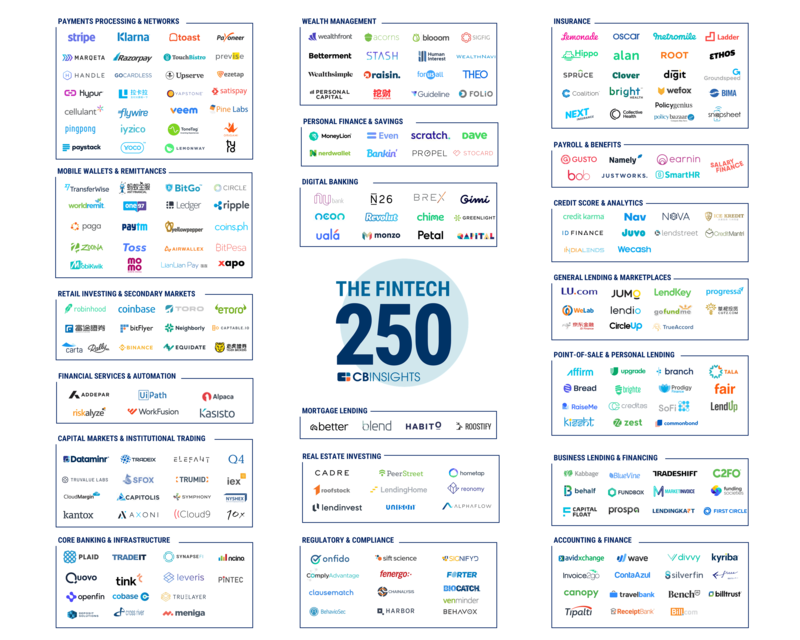 Congratulations to this year’s Fintech 250 companies.